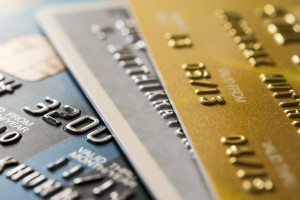 Principle Payments was founded by a team of industry executives and has become the gold standard in Credit Card Processing and related Merchant Services. Through our vast experience and expert knowledge of the industry, we provide merchants with the most tailored and customized rates based upon their specific business. In addition, we provide the most compliant and up-to-date equipment available. 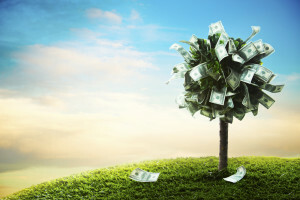 You work hard to make your business successful, let Principle Payments’ Industry Experts help you grow it. We strive to surpass customer satisfaction by offering new and existing merchants turnkey payments solutions at the lowest rate guaranteed. Plus, with Principle Payments, you get our world-class LIVE U.S. based customer service and technical support 24/7/365 days a year. 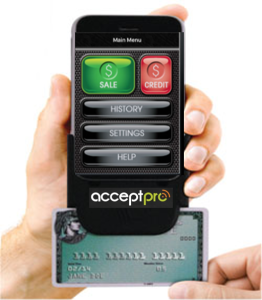 Are you a business owner “on-the-go?” You can now possess the power of an advanced, state-of-the-art card terminal on you smartphone, tablet or other mobile device when you’re “on the go.” Principle Payments provides 24 x 7 x 365 expert live support. The bottom line: AcceptPro is the only choice for merchants who are serious about their business. As you are by now aware, all merchants have been mandated to update their credit card terminals to accept the new micro-chipped cards. Don’t leave yourself vulnerable. 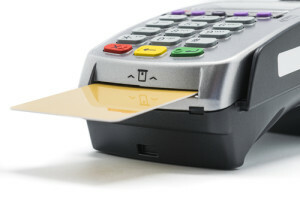 Principle Payments offers EMV Chip Compliant Terminals to avoid costly penalties as the liability for fraud shifts to the Merchant. EMV terminals not only support V/MC/DSVR/AMEX, they will also support NFC payments like ApplePay. Terminals carried include the Vx520, Vx680 (WIFI or 3G), and the Roam mobile swiper. From Gift Cards and Loyalty Programs to Cash Advances and Electronic Check Guarantee Services, Principle Payments is a premier provider of merchant services and related business solutions.